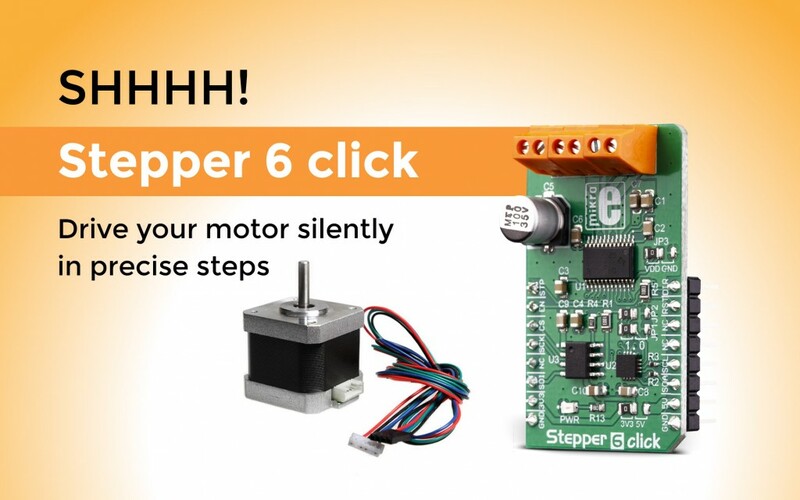 Our newest addition to stepper motor drivers family is the Stepper 6 click. Rich with features that will allow silent operation and optimal conditions for the connected motor, it also comes as a reliable and efficient motor driver. It’s perfect for use in 3D printers, laser beam printers, video security cameras, factory automatization, robotics, and for other similar applications. Stepper 6 click is equipped with a Texas Instruments motor driver with current sensing, DRV8886. Offering a simple interface, it also features a set of pins used to control the functions of the step motor.